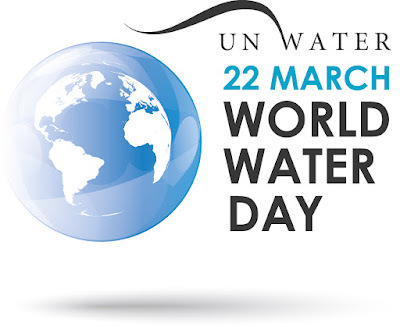 Every year on March 22, the United Nations celebrates World Water Day. This year's focus is on water and nature, exploring how nature can provide us solutions to tackle crises like floods, droughts and water pollution. The UN has a very informative fact sheet highlighting some of the statistics on global water demand, quality and availability. It also provides some nature-based solutions that can give cities a framework for combating water issues. I love the graphic above (although not the statistic itself) because it's something that can especially relate to Louisiana. 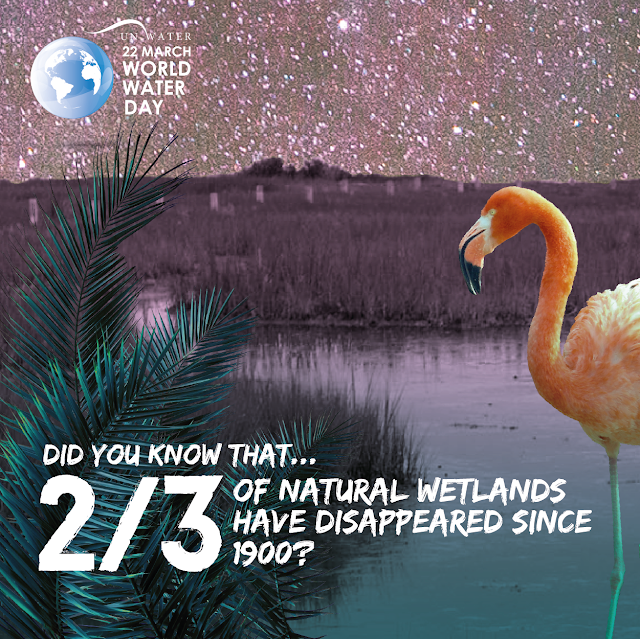 We're a state known for wetlands, but they are also disappearing at incredible rates. I plan to do another blog post delving into more depth on this, but one community in extreme Southern Louisiana, Isle de Jean Charles, is planning a relocation after they've lost so much of their land due to rising sea levels, land subsidence and frequent floods. Clearly, our state's relationship with water (and the loss of our wetlands) is an important one, and looking at ways to combat water issues through nature is something that needs to happen. What can I do to celebrate World Water Day? You can take a few easy actions today, or in the coming weeks, to keep the idea of cleaner water at the top of your mind. Incorporate a rain barrel into your yard, so you can use natural water instead of city-treated potable water for your plants. When emptying your pet's water bowl, pour it out in your yard or into a storage container for later use, instead of pouring it down the drain or on hard surfaces. Don't pour chemicals or cleaners into ditches, where they can either seep into the ground or flow into natural water sources. Honor your community's natural water sources, like rivers and lakes! Take some time to appreciate them, and their relative cleanliness. When you're out on the water, don't contribute to water pollution. Don't throw your trash in the water, and don't pour contaminants into water.